Lintels are horizontal structures that are designed to serve as a support, usually used for door, windows, etc. Lintels are made from a wide range of materials like timber, stone, bricks, reinforced cement concrete and steel. 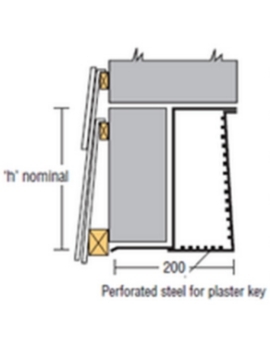 More Info on Steel Lintels? Even the simplest of buildings incorporate complex engineering to be inhabitable and practical. After all, construction is not just all about concrete, mortar or plastering. We, at Buildworld, understand this and have put together a comprehensive list of all building materials, helping you choose quickly and easily. From the basic to the most complex, from structural to decorative, you are sure to find exactly what you are looking for, right here at Buildworld. An important aspect of buildings are Lintels, which are the horizontal bridges above windows and doorways and at times may have to support heavy load from above, such as in multi-storey constructions. Lintels can also be likened to beams that are usually the same width as that of the wall. The two ends of the beam are embedded into the wall ends and support the upper load, even while providing for a passage below. Lintels are far simpler to construct than arches that many old structures sport, but the very positioning of the two requires immense strength and durability. Earlier, the best available materials providing such strength and longevity were timber and stone, which were used to make lintels. However, timber was found vulnerable to fires and stone often cracked when it was subjected to vibrations, due to heavy loads or other factors. With time and evolving technology, steel soon became the ideal material for Lintels, besides reinforced concrete or reinforced brick, depending on the construction. 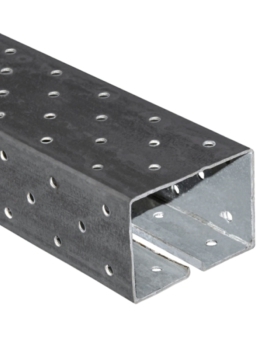 Steel Lintels, in particular, are great for places of heavy load bearing or those with large entranceways or passages. 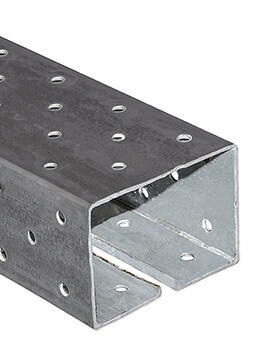 Steel lintels come in multiple sections or as rolled steel joints. 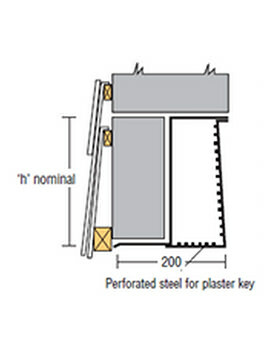 These can be used singly or in various combinations, as warranted by the architectural details of building. Steel lintels today are categorized as Cavity and Box Lintels. 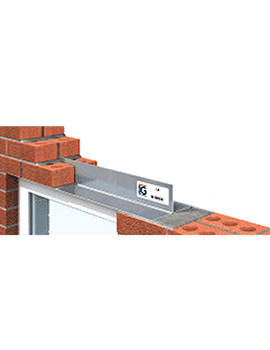 Cavity lintels are used for walls that have spaces on either side. 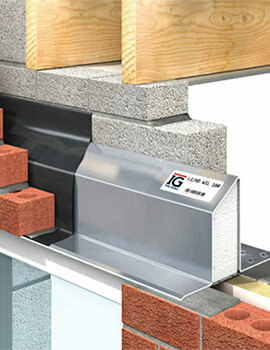 The lintel has been designed with a flat extended plate on both sides so that the block work is unhindered. 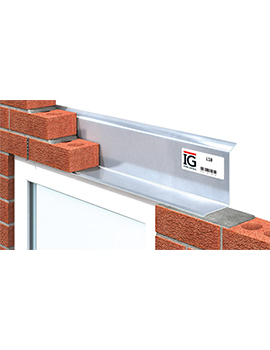 Box lintels as the name suggests are box-like in design and are ideal for solid block work openings and single skin brickwork on doorways and windows. These are generally made from premium pre-galvanized steel and come in a wide variety of sizes. Both have perforations that can be filled for insulation. The width of the portal – this will determine the length of the lintel required, which will always be a bit more than the actual width of the passage. 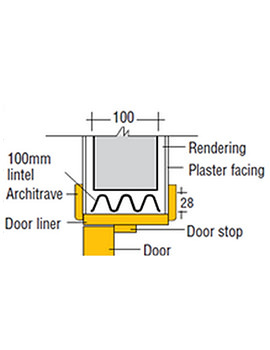 The load on the lintel – loads, can differ and can be due to several factors. These could be a combination or singly because of roof or floor load, masonry, and live loads, such as industrial usage. Wall Construction – the lintel finally used will depend on what kind of wall needs to bridged, whether a solid wall, cavity wall, external wall or partition, etc. 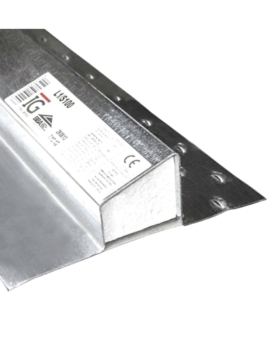 Sturdy, hardwearing and cost effective in projects where lintels are to be used. Equally, cost effective. 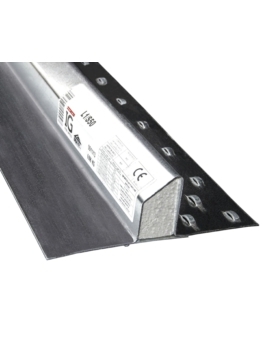 These concrete lintels are reinforced with steel for greater strength and durability. 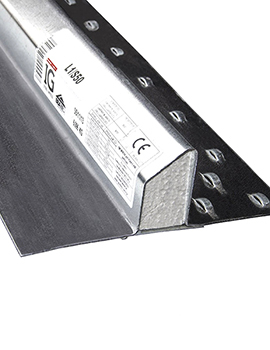 Our steel wall lintels are fabricated from superior quality steel, and come in a selection of sizes and find use for cavity walls or internal door frames. Buildworld bricks, blocks, and lintels come in a variety of densities and styles.